There was a large, fat snail on the drive. Hazel pulled at the shell, and the snail came away with a small sucking sound and a tiny pop. ‘In you go, big snail,’ she said, putting the snail in her bucket. The next three snails were easy to find because Hazel was clever. She was a sleuth. A super snail sleuth. She should have a badge. She knew where the snails would be and that’s where they were — in the vegetable garden, making long silver trails on the cabbages. One, two, three. She put the snails in the bucket and watched them salute her with a friendly wave of their feelers. Hazel waved back. The publication this month of the debut book for new children’s imprint Annual Ink introduces exciting new literary talent Nan Blanchard, a Wellington writer mentored by children’s literature champion Kate de Goldi and Susan Paris, editor of The School Journal. As the brains behind Annual Ink, Kate and Susan are on a mission to transform books for New Zealand middle readers (eight to 13 year olds). Nan Blanchard believes children have a huge capacity for absorbing new ideas and concepts and she doesn’t shy away from tackling big issues and using language that extends young vocabularies. Her assured eye is a rare quality in a new writer; seldom has the world of a young child been so delicately or acutely observed. She says that although the character of Hazel arrived ‘fully formed,’ in some ways, she is an amalgamation of Blanchard’s children when they were little. ‘My daughter would say I stole her life! But there’s probably a lot of me in her too,’ she says. The engrossing text of Hazel and the Snails is complemented by Giselle Clarkson’s charming illustrations. 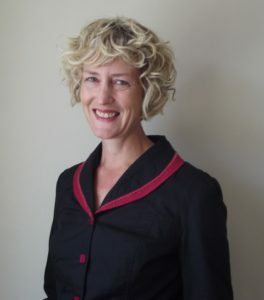 Nan Blanchard is a counsellor who also teaches in the Counselling & Guidance Programmes at the Institute of Education, Massey University. She lives in Wellington. Hazel and the Snails is her first novel for young readers.